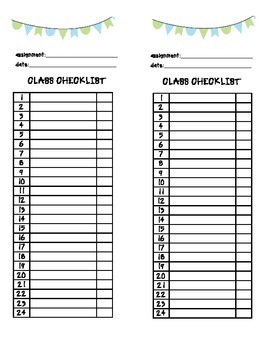 Use these handy checklists to keep track of who has turned in assignments, field trip money, permission forms, and more! Simply write in students' names and check the box when the assignment has been turned in. There are two to a page so you save paper while staying organized!